The Romani Cultural & Arts Company are once again co-ordinating the Gypsy, Roma & Traveller (GRT) History Month 2013. Wales is a beacon of excellence in the promotion of equality of opportunity for all and for inclusive practices across services. Join us in June 2013 for a celebration of this and more. Throughout Wales, there will be a variety of events taking place to celebrate the rich culture and heritage of the Gypsy, Roma & Traveller communities. There will be exhibitions, performances, workshops accessible to all sectors of the community, with some key events taking place in the North & South Wales. 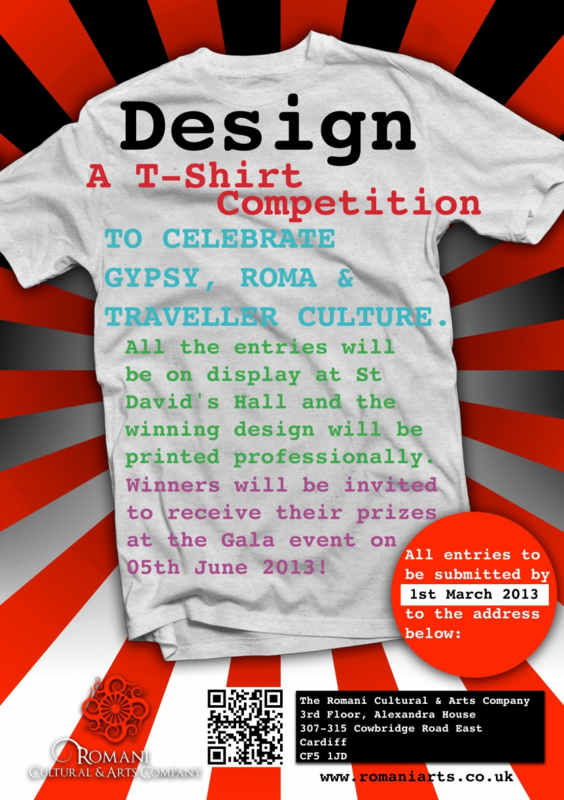 Your school has the opportunity to participate in a ‘Design a T-Shirt’ competition which is open to all Primary schools in Wales to publicise the Gala event on Wednesday 5th June 2013, St David’s Hall in Cardiff. The competition is open to all children with two entry categories available: Key Stage 1 entries and Key Stage 2 entries. This is the perfect way to celebrate the big themes such as diversity and equality as well as an opportunity to explore an exciting history and culture. Be inclusive, be included, get involved! 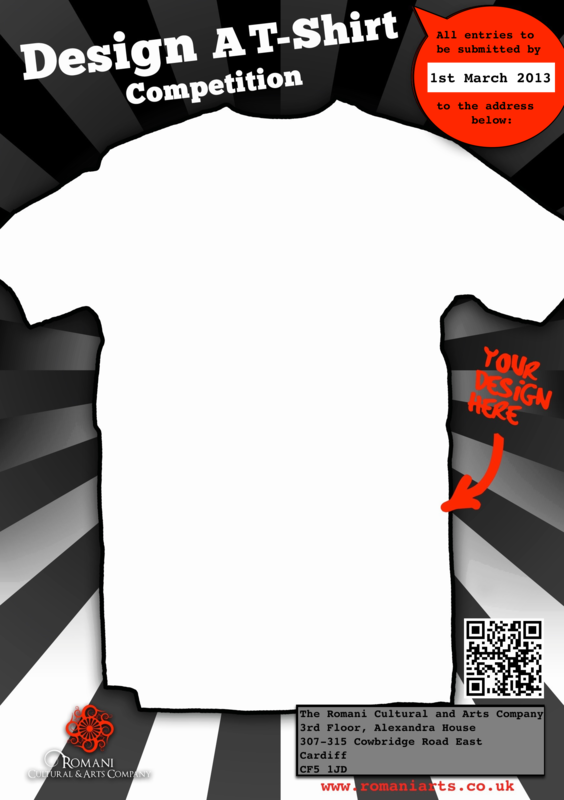 All participating schools will receive a thank you letter and certificate of participation and winning t-shirt designs will be printed with prizes presented on Wednesday 5th June 2013, Cardiff by Keith Towler, Children’s Commissioner For Wales. Press coverage notably from (Black Voluntary Sector Network Wales, Diverse Cymru, Travelling Ahead).